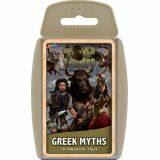 Top Trumps takes you to an exciting, ancient world of heroes, gods and monsters in the brand new Greek Mythology deck. Will you play with foul creatures like the snake-haired Medusa and the one-eyed Cyclops or have brave heroes like Perseus and Odysseus in your hand of cards? Compare the Bravery, Strength and Wisdom of everyone from Icarus to Zeus as you read the mystical tales of adventure and magic that have been passed down from generation to generation. Whose father tried to eat him? Who stole the secret of fire from the Gods and how did the Minotaur come into this world? Find with with Greek Mythology Top Trumps! 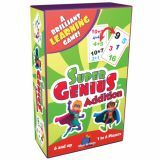 This addition matching game focuses on building Addition skills, teaching beginners the early fundamentals of math, while building and enhancing skills for more advanced students. There is always a match between any two cards. Find the pair between an equation and its sum, two equations or two sums. 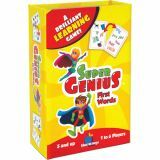 Developed hand-in-hand with learning professionals, this Super Genius game was specifically created with early learners in mind. Ever wondered what it would feel like to hold a furry tarantula in your hands? 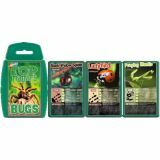 Well now you can, with Bugs Top Trumps! This pack contains the world's creepiest crawlies, the most incredible insects, and the most awesome arachnids. Grab a pack now and find out which is the rarest, grossest, and most mobile bug of all - but watch out for the scorpion! 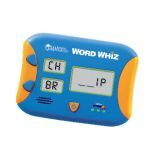 This reading matching game focuses on closed syllable and short vowel words and helps prepare early readers for more complicated language skills to come. There is always a match between any two cards. Find the pair between a word and its image, two images or two words. 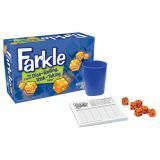 Roll your dice and Place you Gears! 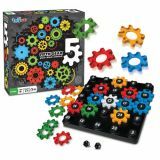 The rules are simple: interlock five of your color gears with the white gear and keep others from doing the same. 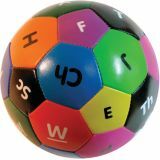 Players roll 2 twelve-sided dice on their turn to determine their gear placement and get the option to: place 2 gears on on each number rolled OR place 1 gear on the sum of the roll. But here comes the monkey wrench, players can bump opponents off peg(s) that match their roll and replace it with their own. 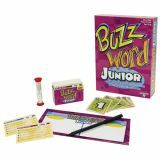 The family and educational fun factor: No two games are ever the same! 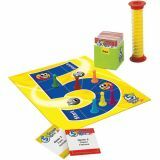 The unique game board allows players to randomly place number tokens at the start of each game which results in fun new challenges and endless playability. 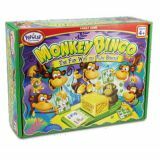 Monkey Bingo is the exciting new way to play bingo. Just one look at the amusing dispenser, colorful animal tiles, two-sided bingo cards, and transparent monkey chips and you know you're in for some serious fun. 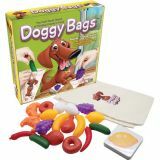 To play, just load the sixteen animal tiles into the banana crate and have each player choose one of eight two-sided bingo cards and nine monkey chips. Now the fun begins! The designated caller pushes the little monkey towards the crate full of yummy bananas and out pops one animal tile with two colorful animals pictured on it. The name of each animal is called out and if a player has one of them on their card, they put a monkey chip over its picture. The first player to get three animals in a row or fill their card if they are playing Blackout wins!